For a photographer, there isn't much that can beat the feeling of holding a beautiful, printed and bound album of your work in your hands. It's better than cupcakes, weekends, and a new season of The Bachelor ... all rolled up in one! That's why I'm so excited to share my new sample albums with you! Every few years here at MJP it's time to update our samples that we keep here in the office to show off to clients during initial meetings, and I'm SO in love with our new album babies! The first album is an Align Legacy Book, from a new line of albums now offered by my album design company, Align Album Design. Creating physical albums through Align was a dream of mine for so long that it's incredibly thrilling for me to be able to offer these to my clients. Our 100% natural Italian leather covers are so soft that we have, at times, caressed the swatches with our cheeks. And our linen covers are equally as stunning with their beautiful woven texture. My sample album from Align is 10x10 -- large enough to be a significant presence in your lap or on your coffee table, but not so big as to be overwhelming. 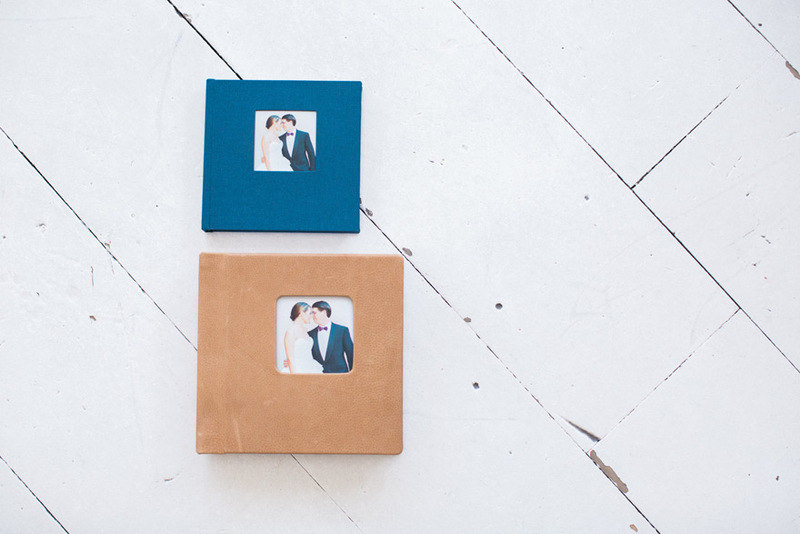 I love the way it looks next to its 8x8 linen parent album! 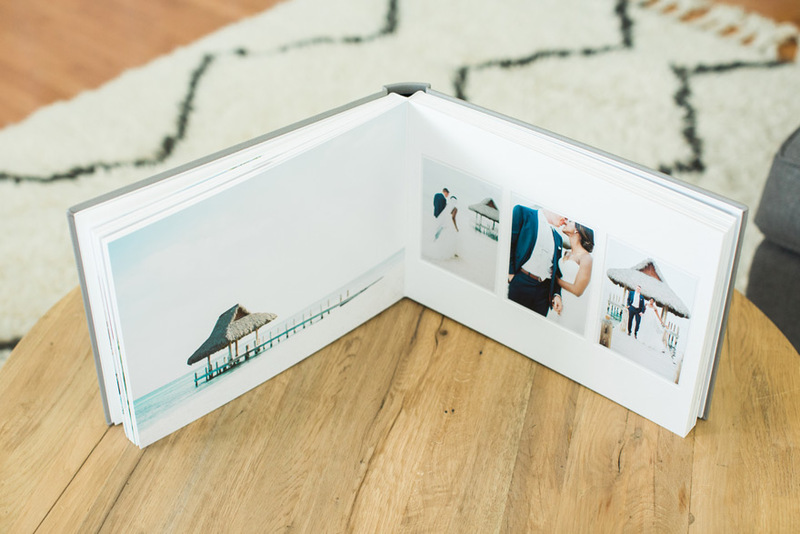 This album is available in a wide variety of cover options, and can include a cameo photo or debossing on the cover -- so each couple's album will be just as distinctive and custom on the outside as it is on the inside. 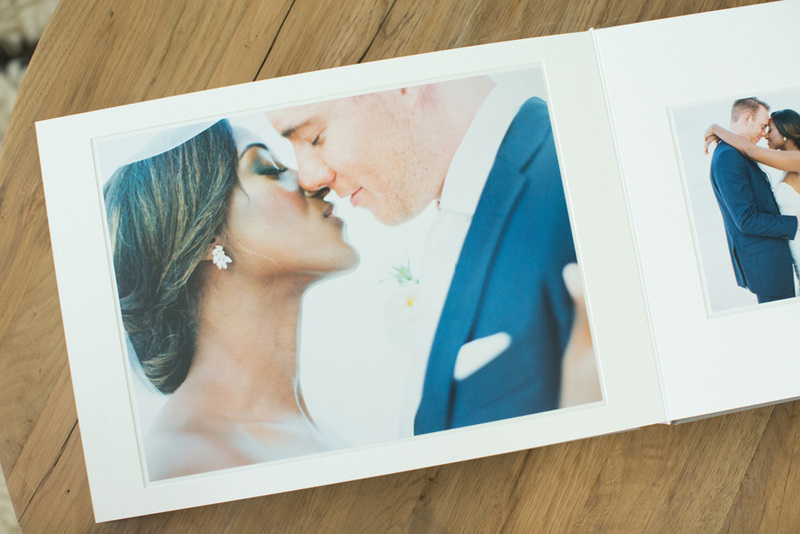 :) The pages have a soft, satin-y matte finish that feels as beautiful as it looks! I also have a new sample album from Queensberry. It's 14x10 inches of buttery micro-leather beauty. I wish you could touch it through the screen. It's SO soft! I wanted to offer a really unique album to my high end clients and this album fits the bill beautifully! 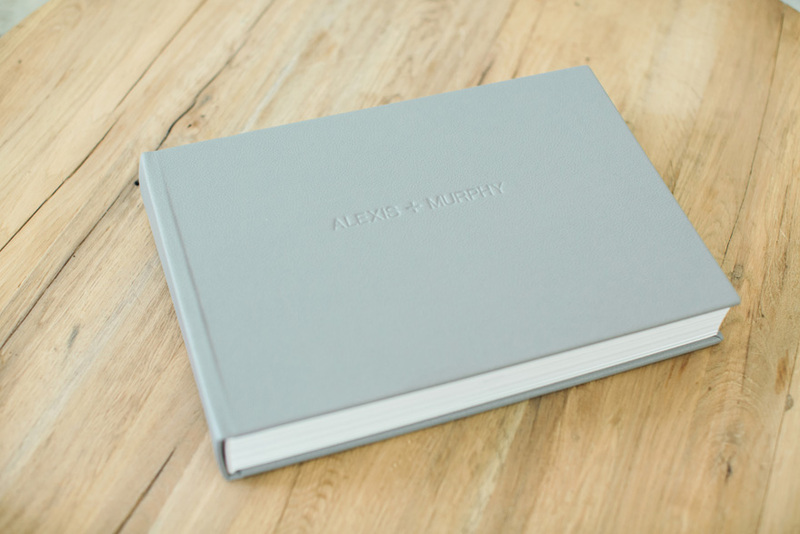 It is available with various cover options - I chose haze micro leather - and I love the blind embossing of the couples' names on the cover. One of the most unique elements of this album is the fusion of traditional matted and flush-mount digital images. The white pages are a beautifully textured white mat within which images are pagemounted but you also have the option to include images that span flush to the edges of the page. It's so lux! So amazing! 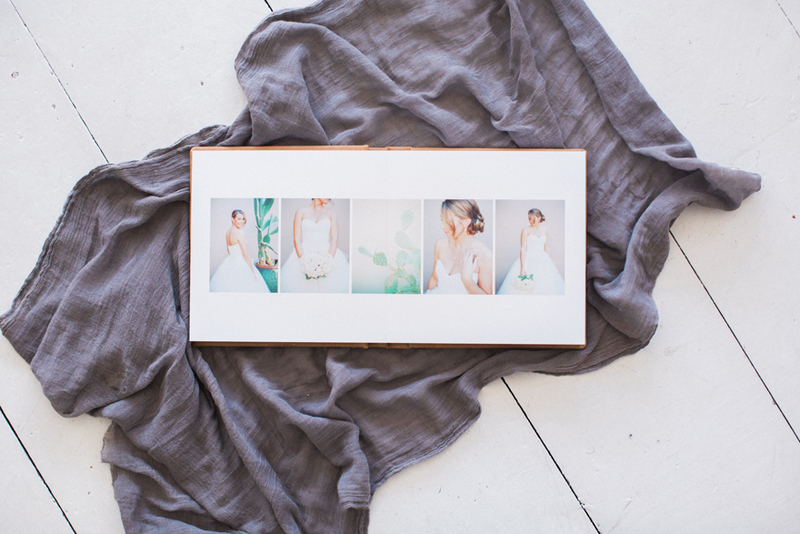 I'm in love with how these albums turned out and I can't wait to get these babies into the hands of my clients!